We only use high-end hardware with powerful processors and plenty of RAM. 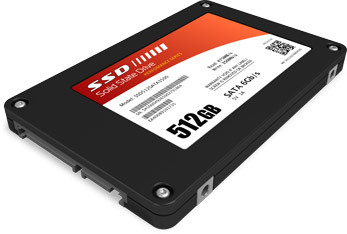 All of our web servers use ultra-fast, commercial-grade SSDs (solid state drives), which can greatly enhance the speed and efficiency of WordPress. We optimize performance further with Varnish caching, MySQL database tuning, opcode caching (your choice of APC, eAccelerator, XCache or Zend OPcache), and other tweaks. Each machine has a fast Internet connection to maximize throughput and prevent bottlenecks. Rocket Loader automatically optimizes delivery for the best possible performance in any browser, on any device. On average, websites on CloudFlare load twice as fast, require 65 percent fewer requests, and use 60 percent less bandwidth. We’ve integrated it with our systems for fast, easy setup. Approximately two thirds of web requests can be cached and served directly from CloudFlare’s network. But the rest have to be sent to the origin server for processing. Railgun uses several techniques to accelerate and cache those previously uncacheable objects, and compress them by as much as 99.6 percent. CloudFlare customers normally pay at least $200 per month for access to this technology. However, our partnership with CloudFlare enables us to offer Railgun free with all WordPress hosting plans. In addition to speed, our architecture provides scalability. Unlike some mass-market web hosting companies, we don’t crowd thousands of clients onto a single server. We always leave enough breathing room to ensure that things keep running smoothly, even when websites get unexpected traffic surges. CloudFlare also helps by giving you a global presence at no extra cost. Our CloudFlare integration adds another layer of defense using a powerful, global security network that can stop attackers before they reach your sites. 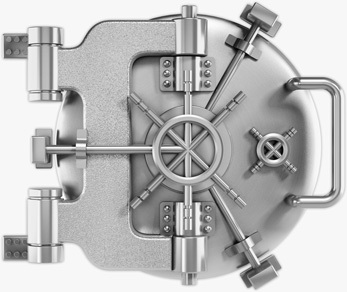 An SSL certificate is a must for many websites, and is recommended to protect the administration area of any WordPress site. It can also improve SEO, as Google now factors HTTPS support into rankings. 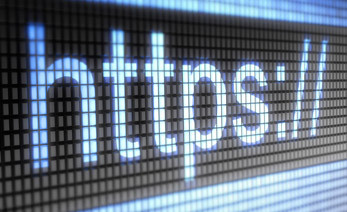 But some hosting companies only support SSL in higher-priced packages. Two-factor authentication (2FA) can help protect your WordPress sites, but it can be cumbersome to use. Clef makes it easy by replacing usernames and passwords with your smart phone. 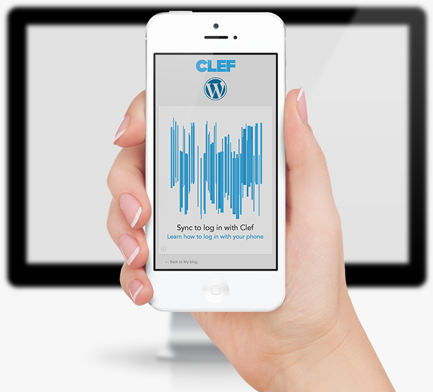 Just scan the wave to log in to any of your Clef-enabled sites. Clef protects tens of thousands of sites, and is the fastest-growing 2FA plugin in the WordPress repository. As a member of Clef’s Safer Hosts program, we preinstall the plugin on all sites. Of course we update WordPress for you automatically whenever there’s a security release. And we upgrade to other versions after a testing period. We also give you choices. 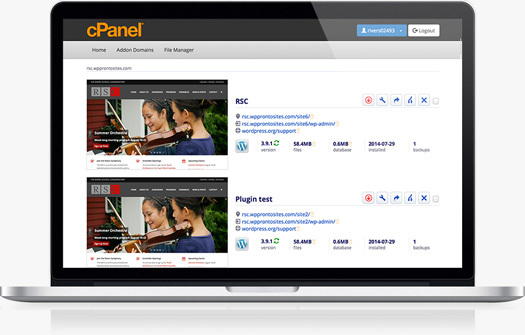 For any site, you can choose to apply all new versions of WordPress immediately. You can also enable automatic plugin and theme updates. We back up each hosting account nightly, then we back up every WordPress site to a different offsite location. We save daily, weekly and monthly snapshots that you can restore from your control panel. You can also create on-demand and automatic WordPress backups to your own FTP or Dropbox location. Security. Scan for malware, block IPs, and manage SSL certificates. Domain management. Work with DNS records, addon domains, aliases, subdomains and redirects. File management. Create FTP accounts or use cPanel’s easy File Manager. Database management. Analyze and optimize MySQL databases. Metrics. Check disk space, bandwidth, CPU and RAM usage. Site management. Easily create, import, clone and delete WordPress installations. Log in to all of your sites from a single location securely, without usernames or passwords. Update management. Set WordPress core, theme and plugin update preferences for any site. Backup management. Back up or restore any site on demand. Set up automatic daily, weekly and/or monthly backups in addition to the WPPronto automatic backups. A typical web hosting company handles WordPress and dozens of other applications. So it’s just about impossible for the support team to know all of them intimately. We know WordPress inside and out. It’s all we host, and we’ve been doing it for more than half a decade.